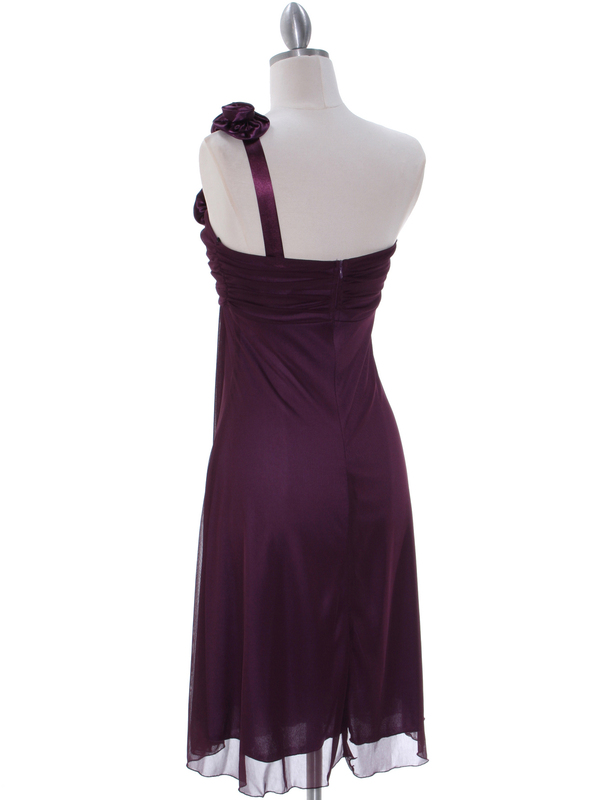 Purple One Shoulder Homecoming Dress | Sung Boutique L.A. 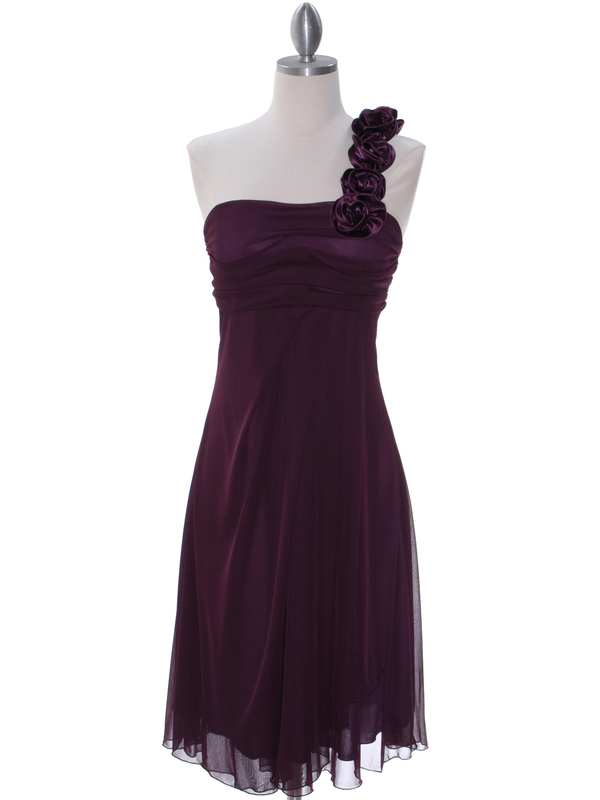 This beautiful knitted cocktail dress features one shoulder floral strap with pleated bodice. Flowy skirt finished the look.